Connecticut's many agriculture commissions are an essential part of the fabric of the state. Look at the map to find the commission nearest you. On June 22, 2010, The Town of Franklin voted to create an Agricultural and Conservation Commission, AgCon, whose mission is to encourage conservation and sustainable use of Franklin’s resources and protect and encourage agriculture as an industry and culture in Franklin. The Commission meets on the third Thursday of each month at 7:30pm in the Franklin Town Hall. Meetings are open to the public. Franklin residents have long expressed that maintaining the town’s rural landscape and agricultural heritage is important to them; therefore AgCon’s goals and activities revolve around these issues. AgCon has accomplished much since inception including: created an Agricultural brochure listing farms in town; a Conservation Lands pamphlet listing public open-space areas; hosted farming-related presentations; created an Open-Space fund; promote Farmer’s Market activities; outreach to Franklin Elementary School with several educational activities like an earth day assembly and the donation of agricultural books; research land-use maps; sponsored several hikes and tours; and participated in regional issues such as supporting a ‘Connecticut Greenway’ designation along the Shetucket River corridor. The Commission welcomes public comment and looks forward to serving the agricultural and conservation needs of the Town of Franklin. Contact Chairperson Susan Allen at seakonow@aol.comor inquire at the Franklin Town Hall for further information. Mansfield Agriculture Committee is an advisory committee to the Town Council and other Town officials and meets on the first Tuesday of each month in the Mansfield Town Hall, 4 South Eagleville Road, Storrs-Mansfield, CT 06268. Below is a summary of some of the Committees activities. Promote farms as businesses– Growing Mansfield’s agricultural businesses is essential to maintaining and enhancing a diversified local economy. Our working farms and forests provide jobs, a stable tax base while preserving the town’s rural character-- a key reason that people live, do business in and visit Mansfield. 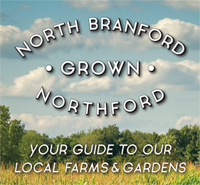 Educate Mansfield residents about the business of agriculture-While farms provide environmental benefits, local food, and scenic views, they are also businesses. We encourage the community to support our farmers by learning about their businesses and understanding that occasional noise, dust, odors and slow moving traffic are part of running a farm business. Provide Resources to Farmers and Non-Farmers- The Agriculture Committee serves as a conduit between local farmers and non-profit agencies, civic organizations, town elected officials, advisory commissions/commissions, and non-farm residents. The objective of the Regional Council is to support farming in the 17 municipalities and promote agriculture-friendly land use and municipal policies. The members of the RiverCOG Regional Agriculture Council include: Chester, Clinton, Cromwell, Deep River, Durham, East Haddam, East Hampton, Essex, Haddam, Killingworth, Lyme, Middlefield, Middletown, Old Lyme, Old Saybrook, Portland, and Westbrook.